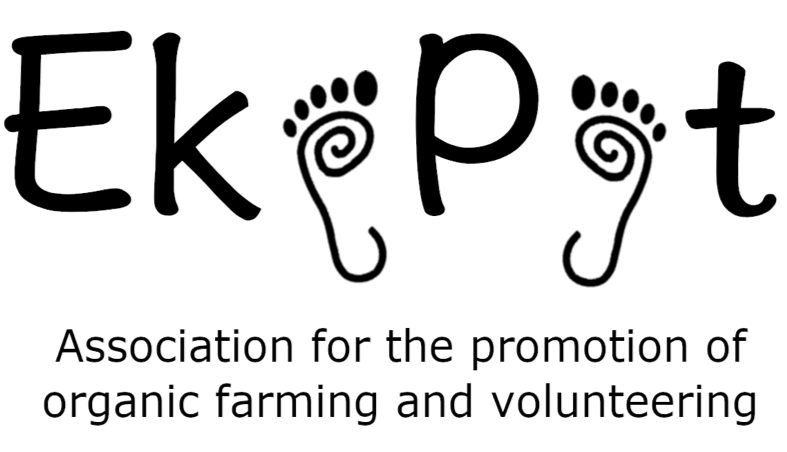 My name is Jessica Knights, and I am one of two volunteers working on the ‘iFarm Organic’ Erasmus +/European Solidarity Corps project at the NGO EkoPot (OrganicWay). Running from March to November 2019, Lukas and I have been given the opportunity to experience a full growing season on this organic and biodynamic certified, 12 ha farm project. 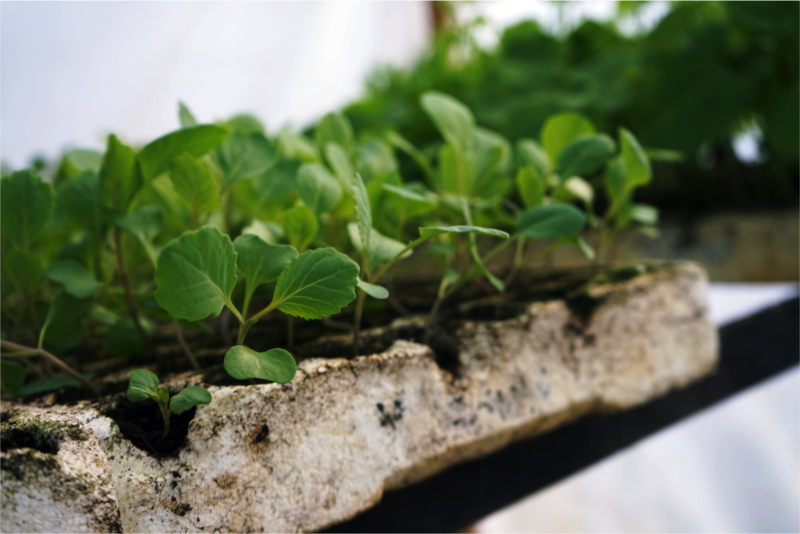 The principles of community and sustainability are at the core of all of the activities here, which uses a CSA (Community Supported Agriculture) model. The farm project also participates in a food co-operative in Ljubljana, and is the first crowd funded agricultural project in Slovenia. Central to the work being carried out here is a commitment to living, on a daily basis, as much in line with the values that the project represents as possible. The farm project is 80% self-sufficient and extremely diverse, producing vegetables (more than 60 different varieties), fruit, nuts, grains and more than 100 minimally processed goods, such as pasta and preserves. It operates a zero waste policy and regularly hosts volunteers through different programmes, creating a unique and exciting learning community. "Only by restoring the broken connection can we be healed. Connection is health. And what our society does its best to disguise from us is how ordinary, how commonly attainable, health is. We loose our health - and create profitable diseases and dependencies - by failing to see the direct connection between living and eating, eating and working, working and loving. In gardening, for instance, one works with the body to feed the body. The work, if it is knowledgeable, makes for excellent food. And it makes one hungry. 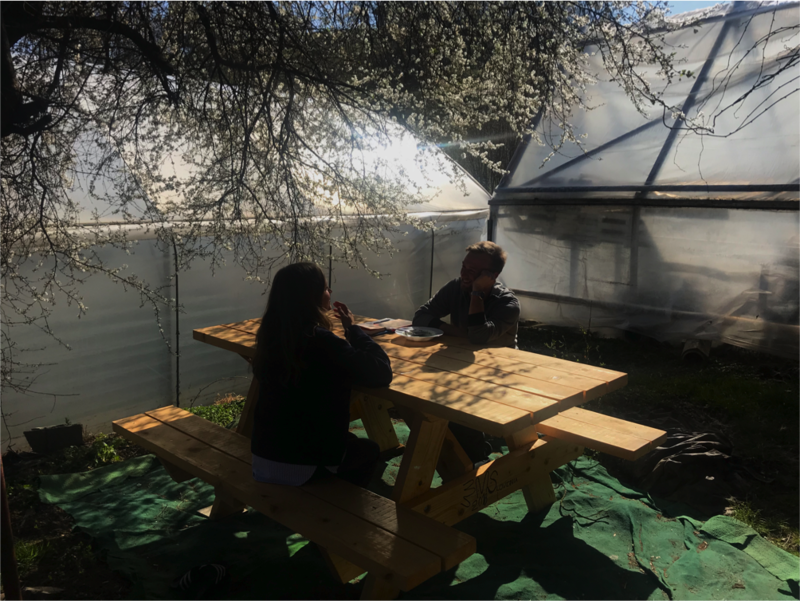 The work thus makes eating both nourishing and joyful, not consumptive..."
While I have only been on the farm project for a few weeks at the time of writing, I already feel that I have learnt and experienced an enormous amount. When we arrived the landscape was still in slumber; within the first week tiny green buds were appearing on the trees, seemingly in front of our eyes. Today I sat outside in the sunshine under a Mirabelle tree in full bloom, resonating with the sound of bees. We learnt that trees heal just like people do, and that good soil smells like the forest. Rain means a quiet day processing indoors, and that everything will be greener when the sun shines again. Every task that we carry out is done in anticipation of future bounty - seeds are sown, berry bushes pruned, young apple trees planted in orchards with decisions made for harvests forty years from now. But most wonderful of all is sharing work, meals and laughter with our small farm community, learning a little more about each other and how to live together everyday. 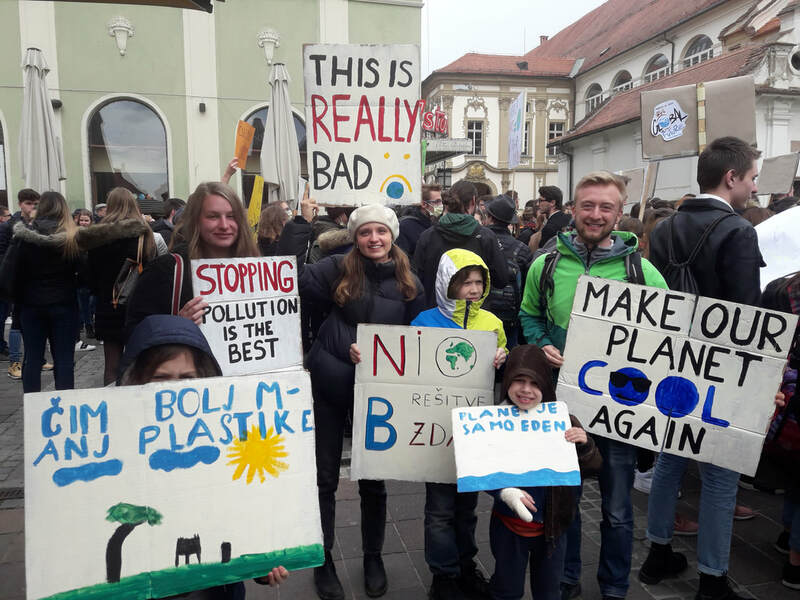 On Friday 15th March Maja, Katharina, Lukas, Luca, Ema, Samo and I joined the youth strike for climate action in Maribor, which felt like a fitting activity to begin our stay in Slovenia. One of the aims of the European Solidarity Corps programme is to foster international cooperation, and the protest highlighted the importance of this impulse in responding to the present issues we face. No matter where we are in the world we are able to give each other the strength to say no, this is enough, and to imagine and work towards a different future. This is the important work which is being carried out at EkoPot, and I am incredibly grateful to Maja and Matjaž for giving volunteers the gift of participating in the custodianship of their land, of learning with them and enabling us to be part of their growing international family.